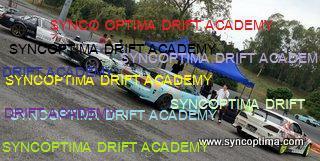 This entry was posted in Drift Lesson, Drifting and tagged Advance drift techniques, Ae86 drift, drift lesson, drift malaysia, Drifting basics, malaysia drift on November 30, 2016 by skagee. Known to be one of Malaysia’s best track to drift on , Federation D had chosen Dato’ Sagor circuit to be the venue for round 1 of their RacePod Drift Challenge Series. With it’s fast entries, followed by an equally fast sweeping corner, this track has proven to be on of the most challenging track around. Due to its higher speed, this track is also known to eat up tires. I was as first reluctant to enter the competition as I had only 2 pairs of new Kumho tyres left and knew the other used pairs won’t last very long in these conditions . However upon hearing Federation D’s offer to subsidize the trailer fees for all the competitors , I had decided to bring J4M8U for practice ,as I had a fair amount of 17″ tyres, and will use SLOW for the qualifying and competition! We were also excited for this competition as our student and friend, Francis will also joining us with his “Cockroach” A31. This will be the first time for Francis to be competiting in a drift competition . The next day I managed to squeeze a few more practice runs on the used tires before turning to the new ones for qualifying and competition. The new tires really had massive grip!!! So much so that I totally screwed my pre-qualifying and 1st qualifying run!! I had one more run to go and gave it everything and managed to place 3rd in qualifying. Jane did excellently throughout the weekend but had gearbox issues where the gear kept popping during her first run but managed to do a good run for her second attempt. However it was deemed not good enough for best 16 . Francis improved tremendously as the weekend progressed and managed to drift the whole course . However he too missed the cut but I am sure it will just be a matter of time before he does! The tandem runs were fairly straight forward but I was knocked out at the 2nd stage, when I fumbled at the last corner , by Mr Rocker Loh who drifter superbly tat day!! This entry was posted in Drifting, Posting by Ariff, Tayaria Kumho and tagged 180sx drift, Dato Sagor drift, drift malaysia, ku36, RacePod Drift Challenge, s13 mallaysia, Tayaria Kumho on January 12, 2012 by skagee.